Winter means snow, and snow means snowmen (and snow women too). If you live where it snows, don’t let winter pass you by without building a fun snowman (or woman) in your yard! 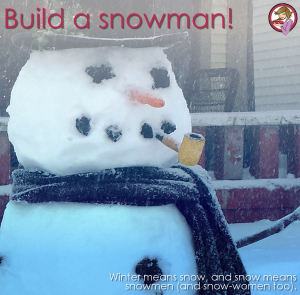 If you’re heading outside for winter’s play, brush up on your snowman building skills here at Momtastic.com to ensure that this will be a fun family activity for all of you. Guess what? You don’t need snow to build a snowman, you can also do it with sand! Building a snowman out of sand is both easier and harder than you might think; learn how by following these easy steps at SandCastleCentral.com. Invite some neighbors over to join in the fun! 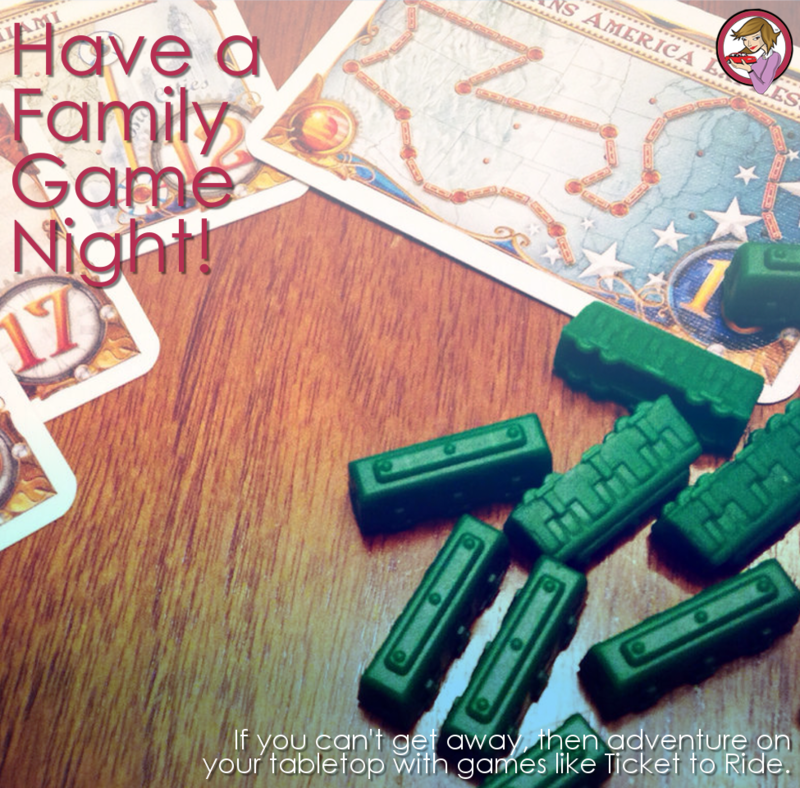 Do you ever find yourself running out of ideas for fun family activities? 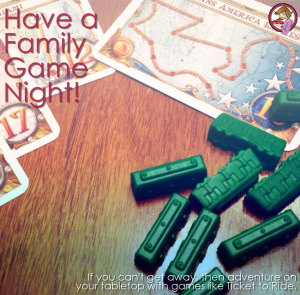 Whether you want to spend the evening playing games, vegging out with Netflix and a warm drink, go out to a local destination like a museum or zoo, or even spend a day volunteering, here is a list of 20 ideas for a fun family night, courtesy of iMom.com. Pay a visit to an ice and snow festival to experience the frozen magic of ice carving. Originally a skill taught in culinary schools, the art of ice carving has moved out of the kitchen to the great outdoors where teams of ice and snow sculpture artists from around the world come together to compete in sculpting events with the resulting artworks put on display for the rest of us to enjoy. These frozen displays are carved from solid blocks of ice and snow by a variety of tools including chisels, handsaws, and even chainsaws. 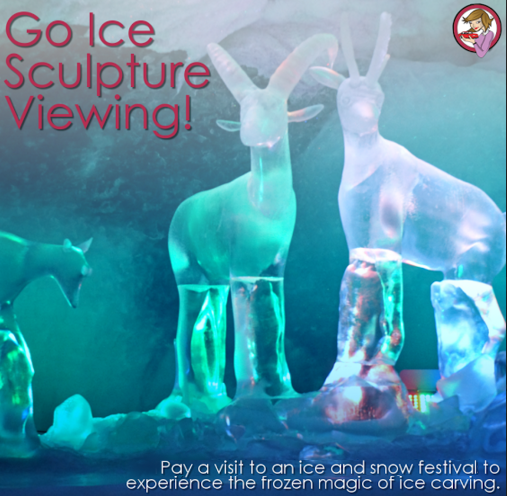 Whether you want to visit gorgeous sculpture displays, walk through entire castles built of ice, visit a music festival where all the instruments are made from ice just hours before each concert, or play on a playground constructed entirely from ice with slides, rides, and mazes, these ice and snow festivals elevate ice carving into magnificent works of art. Learn about some of the top 10 ice and snow festivals around the world, gathered by CheapFlights.com. Ice fishing has long been a favorite winter sport. 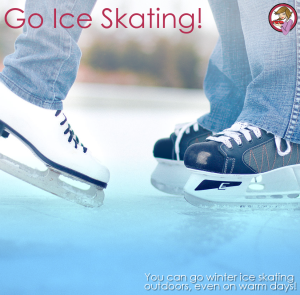 Though some might think the idea of sitting over a hole in the ice waiting to catch a fish might seem a bit crazy, the activity can be quite a bit of fun — from the planning to the party atmosphere your family can have once there — making it a favorite winter sport all over the country. 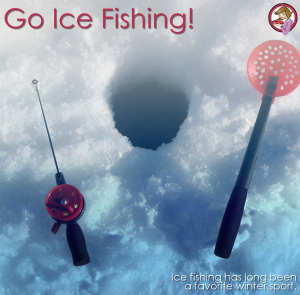 Drive The Nation has gathered a few great spots to get out and try ice fishing, so check them out here. 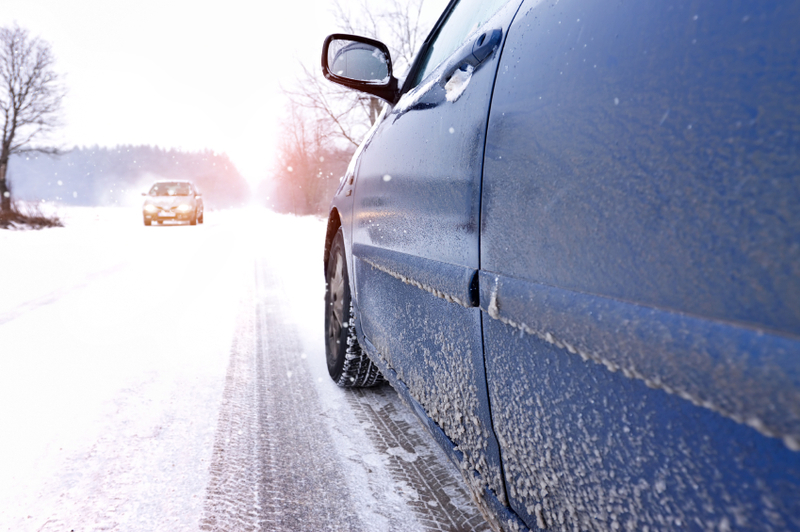 Remember: Before you head out to your winter destination, be sure to prep your car for safe travels. Whether you’re taking off for a fun vacation in the snow, or just to visit loved ones and friends near and far, if your family is hitting the road, getting your vehicle ready for a safe trip needs to be on your list of things to do. 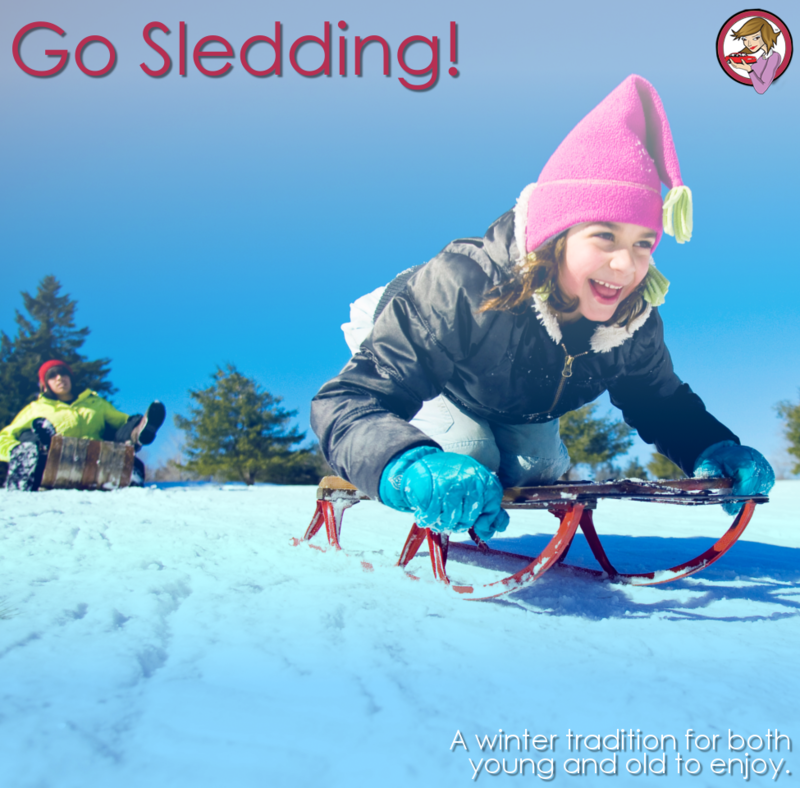 Sledding is a winter tradition for both young and old to enjoy. If you’d like something with the same amount of speed but without the noise of the snowmobile engine, then consider these great sledding locations suggested by USAToday that offer specially groomed courses with ramps and hills for urban sledding, snowboarding, and tubing. 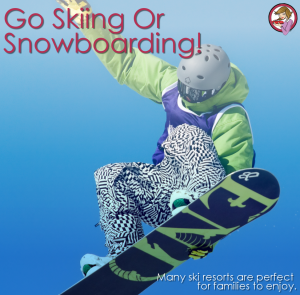 Sledding can be great fun, but it can also lead to serious injuries. Research shows over 20,000 emergency room visits per year were a direct result of sledding injuries in patients 19 and younger, so don’t let injuries get in the way of your family’s winter fun. Make sure you all wear helmets and proper sledding gear. And NEVER sled head first! Finally, before you hit the road for your great winter escape, be sure you’ve prepared yourself, your car, and your family for the adventure ahead. And when you’re on the road, make sure everybody in the car is properly restrained by their seatbelt or child safety seat! 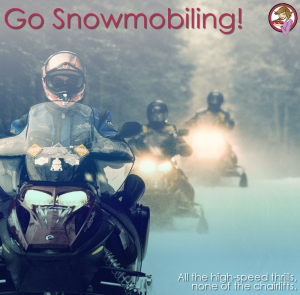 If you’re looking for high-speed thrills and don’t want to spend your whole vacation on a mountain resort (and half of it in a chairlift), go snowmobiling. This fun sport can be a great way to explore new places, but with the added bonus of an engine. Here are 10 great snowmobile destinations, courtesy of Snowmobile.com. 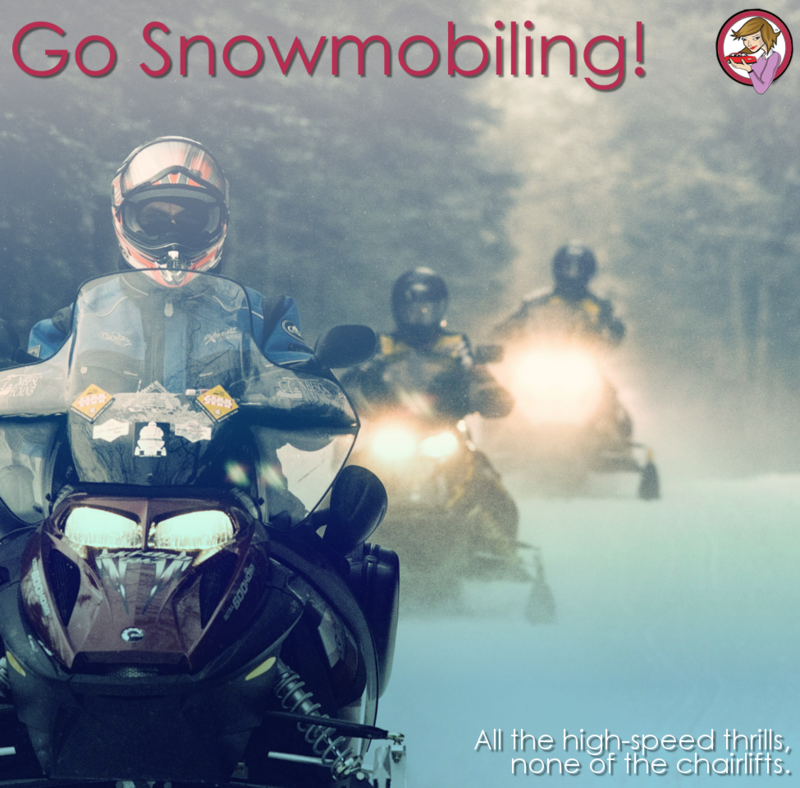 If you’re new to snowmobiling, be properly prepared for your ride: The Snowmobile Safety Awareness Program has an entire “Safe Rider” website, where you can learn the importance of proper riding apparel starting with under layers, eye protection, and headgear along with boots and outer layers; gear to pack including personal items, safety equipment, tools, and emergency kits; good trip planning practices; a pre-ride checklist; and much more.